Belle just isn’t like the other girls. She’s not interested in getting herself wrapped up in gossip. She’s not interested in chasing after the most eligible bachelor in town like the other girls. She’s not interested in being fawned over and she’s certainly not interested in just sitting down and being quiet! Yes, Belle is the kind of girl who needs adventure! She needs a new book to read and new things to learn. She needs to follow her heart, no matter where it takes her! We’re betting that your girl is just like Belle, smart, compassionate and adventurous. That means she’s bound to stumble into her prince during the course of her adventures and that means she’s going to need a ball gown. After all, every princess needs a ball gown when she meets her one true love! 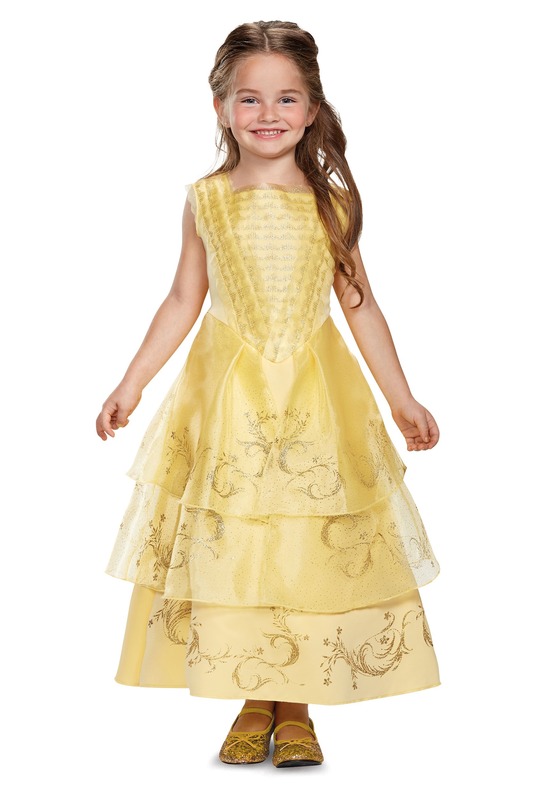 This licensed version of Belle’s dress is perfect for her. Based on the live action adaptation of the Disney film, this Beauty and the Beast Belle dress captures the look from the film, so your child will look like a stunning princess, ready for her debut as the new princess of the castle. Whether your child decides to dance with the Beast to help him warm his cold heart, or she just wants to dress up for playtime. Just remember to tell her that if she wants to become Belle for real, she’s going to have to read plenty of books and stay away from anyone with the name, Gaston.